I know it's been a month since I've posted. How busy mom's do it and keep track of everyone else and stay on top of things, I have no idea. Well, I'm back now and hoping to stay on top of this blogging thing. I'm so excited to share Close To My Heart's May special with you, the Dream Pop paper pack. 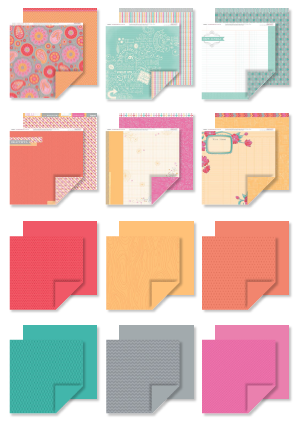 It includes 24 sheets of paper (12 sheets of embossed cardstock and 12 sheets of patterned paper). Simply place an order of $35 and get the Dream Pop paper pack for just $10. That's a savings of $9.95. Click here to start shopping. I'll be back tomorrow with some of the artwork that I have created using the Dream Pop paper pack. So be sure to check back. To sweeten this deal even more I am offering a special to anyone who purchases a Dream Pop paper pack. So you can email me your order today or simply click here to start shopping. But wait there's more. 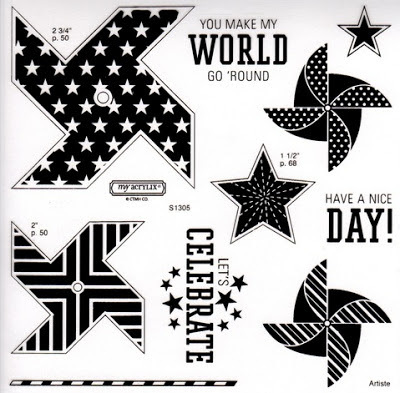 When you order an additional $5 you can get the May Stamp of the Month, Pinwheels for just $5. That's a total savings of $22.90. Thanks for stopping by! Remember to come back tomorrow to check out some of my artwork using the Dream Pop paper.